Specialized dental marketing plans that work! Operating a successful dental practice, like any business, takes a lot of hard work, dedication, and an ability to pay attention to detail. As your dental marketing specialists, we aim to help your practice focus on what it does best—delivering high-quality services and care to local patients. Our owner has 20 years of marketing experience AND originally worked as an office manager in two large and very successful dental practices. She knows how to drive a high volume of new patients. So while you are busy delivering beautiful, healthy smiles, we will assemble and execute a customized marketing plan that will attract new business and give your practice bottom line something to smile about. How will I get better returns? 1) We can get you better returns because of transparency. For example, if you are currently paying for internet marketing, chances are you are not getting a lot of specifics as to exactly what you are paying per visitor to your website. We tell you precisely what you are paying per visitor, you know exactly what fees our company is charging for advertising management. You get perfect transparency, making it really easy to see that you are getting the best possible value for money. 2) Our owner has worked as an Office Manager in several large dental practices. She understands the market and the challenges. She knows what works and what doesn’t. The unique combination of marketing skills and real experience running dental offices means we can give you the edge you need. Because we specialize in dental clinics you get decades of experience brought to bear on your unique situation. 3) We track hard results. 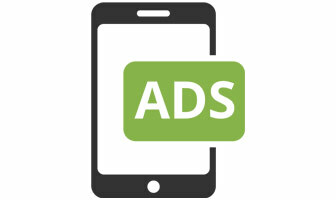 Using unique phone numbers for each marketing initiative allows us to see what is working and what is not. A huge problem in marketing is being able to focus. Would you like to know where your new patients are really coming from? We can tell you and you can focus on what works and discard what is not. 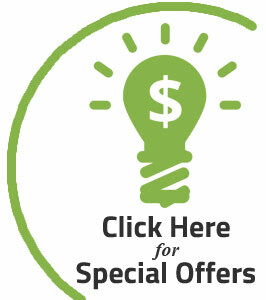 We guarantee to get you more website visitors for less than your existing fees. We have never failed to increase the number of visitors while decreasing costs in any Google Adwords advertising we have taken over. 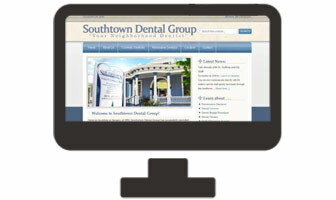 It is no longer enough to have a good looking website for your practice. Almost all your competitors have one too. Now you have to have visibility, social presence, mobile device accessibilty and much more. Potential patients now search and explore their dental care options using a wide variety of mobile devices and dental practices and other businesses battle for the best ranking positions on the hottest search keywords. Internet marketing has the potential to bring in scores of new patients and our dental marketing services experts can do just that. We can build your website, optimize its content for readability and search engine optimization potential, set up pay-per-click advertising campaigns and much, much more. What can we expect from a specialized Dental Marketing plan? We have worked with a wide range of dental practices throughout Texas providing marketing research, analysis & strategy, and then turning this into active marketing resulting in strong patient re-activation and new patient procurement. Each practice we worked with has seen drastic improvements in the number of new and repeat patient visits for a wide range of profitable services including general dentistry, restorative dentistry, and cosmetic dentistry procedures. Our dental practice marketing services will help identify your practice’s target market and potential competitors, and determine the strongest strategy that will elevate your practice’s presence and increase overall revenue. Each dental office is unique. Let us bring our experience to bear on your specific situation. Developing solid, unified branding is essential to the long-term visibility and success of your dental practice. Things such as your logo and the theme of any promotional materials can influence the overall recognition of your business, while manufacturing emotions regarding provided services. The trick is to differentiate your practice and its services from local competitors, while increasing and maintaining public awareness in what is being offered. Our proven dental marketing team can help develop a branding strategy that attracts new business, by determining the wants and needs of your practice’s target market. 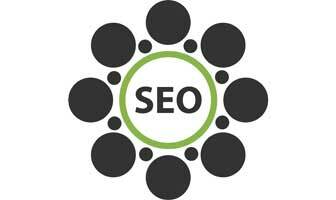 We are also experts at Facebook advertising and all forms of social media marketing. We can get your social media presence exploding right there in the area where you work. If branding sets up the initial symbolic representation of your business, direct mail, newsletters, and print media develops it. Constant and consistent communications with both new and existing patients is the key to the long-term success of your dental practice. Be it for sharing new products, services, community work, or even helpful tips, sending out attractive newsletters and print media is one of the most effective and affordable ways to communicate with your targeted clientele. Let our dental marketing services team help you showcase your practice with a consistent tone, beautiful presentation, and a clear message so we can encourage its further financial growth. We also offer orthodontist marketing.